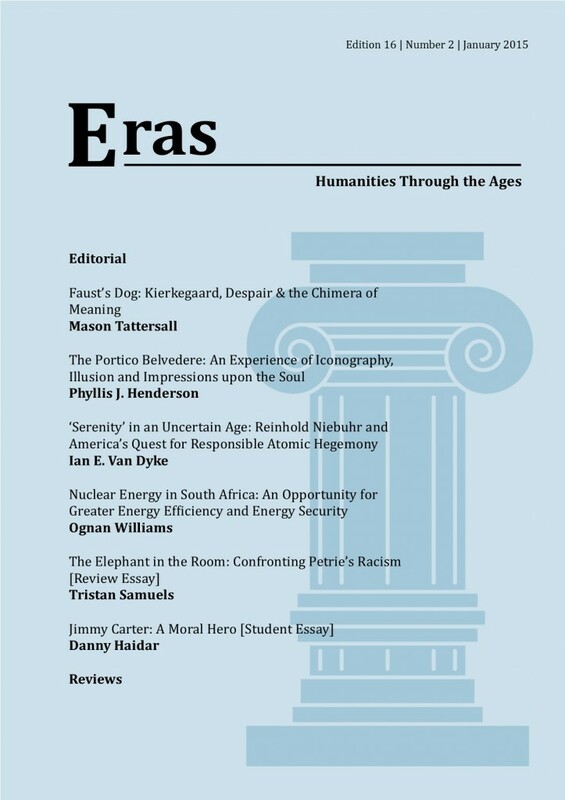 My article “Faust’s Dog: Kierkegaard, Despair & The Chimera of Meaning” appears in the new edition of Eras. Click here for the journal’s website. This entry was posted in Publications, Research and tagged doubt, faust, kierkegaard, Publications, religion. Bookmark the permalink.